I know that in today’s culture it’s become “on to the next thing”. In music it’s the same way, “on to the next record”. Not many people want to know what you did but rather, “what are you doing?” There are some elements of that which I agree with, however last November I released a record on Clean Feed Records called “Bury My Heart”. Some of you may have heard the record or maybe saw a show, but after a recent concert performing the suite from that record, I feel that it is just as relevant today as it was the day that I started writing the music. I want to thank everyone that has checked out the record, and the inspiration/stories behind the music, as well as all the musicians that have played the suite with me live or on the record itself. (and also a special thank you to Pedro Costa at Clean Feed for helping get the record out into the world). If you would like to check it out, you can find the music on my website as well as on Clean Feed’s site. 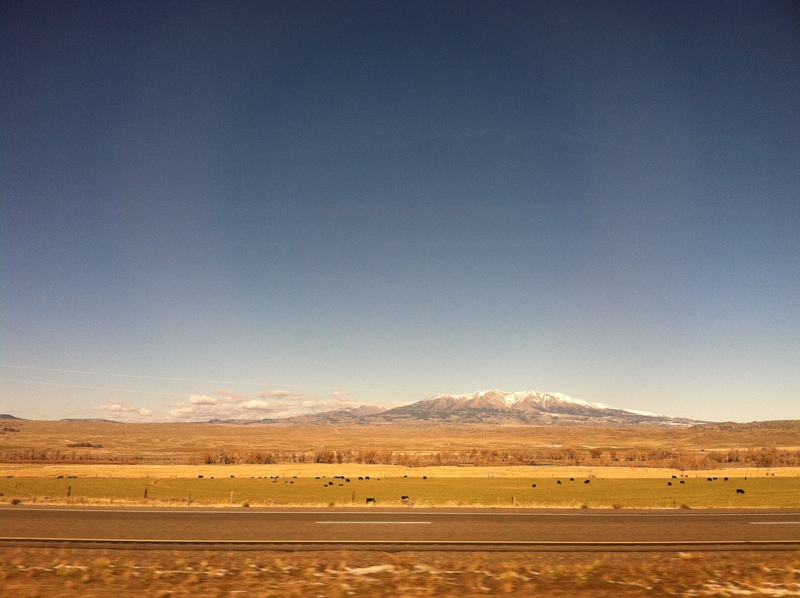 I am working on new music for this project…which I look forward to sharing with you soon. In the meantime, thank you all for your support and a special thank you to the people that I get to make music with for being so giving of their time and talents to make this music come alive and have the impact that it has had. For many years now I’ve been working (along with many other people) to try to bring world class musicians to our city to perform and connect with what we’re doing here in Richmond. A lot of that wouldn’t be possible without the support of Chris Bopst at Balliceaux, Lucas Fritz at The Camel and The Broadberry and recently the Black Iris Gallery and their Tiny Bar Sessions. (there have also been many other great venues and supporters of shows over the years….Tony Garcia and Darryl Harper at VCU, Gallery 5, Commercial Taphouse, ForInstance Gallery, Black Hand Coffee, Hardywood Brewery and many many many others!). Being able to have an international jazz group playing in our city is a great thing…and I hope that you will come and support them and the music. The second show is the group Battle Trance led by the great saxophonist/composer Travis Laplante. This show will also be taking place at the Black Iris Gallery on Wednesday, September 7th (doors at 8:30pm music at 9pm. Tickets $10) Battle Trance’s new record “Blade of Love” was just released and it is a truly amazing record. “Blade of Love is the new album from tenor saxophone quartet Battle Trance. The follow-up to their widely acclaimed debut Palace of Wind (2014), Blade of Love is an elemental composition that aims to fulfill the tenor saxophone’s expansive potential as an ensemble instrument. Working within the intimate intersection of the human body/breath and the saxophone, Blade of Love is a spiritual and enigmatic work with a deep emotional resonance. 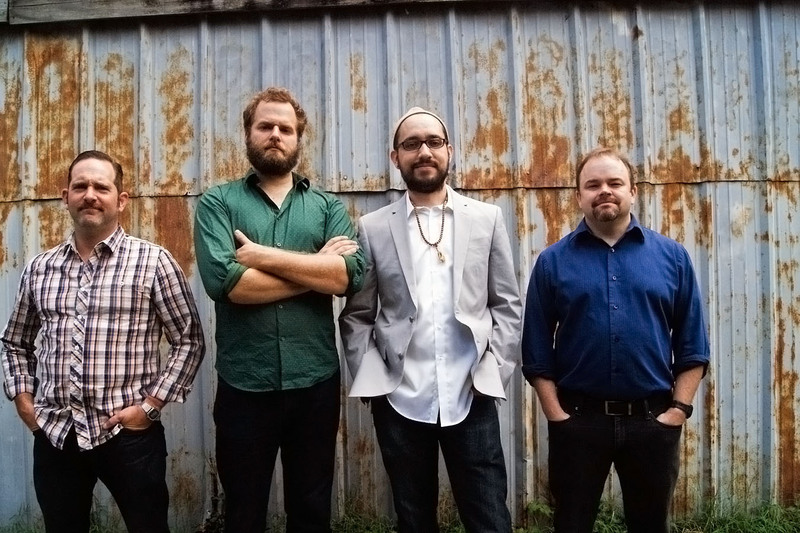 Since forming in 2012, the four saxophonists in Battle Trance (Travis Laplante, Patrick Breiner, Matt Nelson, Jeremy Viner) have spent hundreds of hours deepening their musical connection with each other, maturing as an ensemble through relentless touring everywhere from Brooklyn to Los Angeles, Montreal to Vancouver, and most places in between. The three movements of Blade of Love were composed by Battle Trance leader Travis Laplante and recorded by the group in a wooden room with soaring ceilings in the Vermont forest, after spending two years of rigorous rehearsals working to perfect the array of extended techniques, both virtuosic and primal, required to bring the challenging piece to life. Blade of Love’s central focus is on the physical and spiritual intersection of the saxophone and the human body. The saxophone is one of the few instruments that literally enters the body of the person playing it, and Blade of Love is a medium for this sacred meeting place, with each member of Battle Trance using the saxophone as a vessel for the human spirit. These two shows are just the most recent, in a long list of shows, that will pass through Richmond. I hope that you will come support the music and help to continue to make Richmond a destination for other musicians to stop at and share their music with us. For both of these shows my group, the ScottClarkOther4tet, will be opening. For the show on September 2nd the 4tet will be playing music that we’ve been working on over the past few months, stemming from some of my early compositions. For the show on September 7th we will be performing the suite “Bury My Heart” from our most recent release on Clean Feed Records. This will be the first performance of the suite with guitarist Alan Parker, and I am very excited to share this music with you. If you haven’t already heard the record you can hear it here (https://cleanfeed-records.com/product/bury-my-heart/) and I will also have hard copies for sale at both shows. As always, thank you for all of your support…. Join us for a special night of music, on Wednesday August 3rd, as we welcome the duo of Brooklyn’s Rick Parker and China’s Li Daiguo to Richmond for a great night of music at Balliceaux. The ScottClarkOther4tet will be opeing (featuring Cameron Ralston, Bob Miller, Alan Parker and Scott Clark). Doors open at 9:30 and the show is free…. Sounds of the trombone, cello, pipa human voice and a variety of electronic remedies are conjured to form the psychoacoustic duo of Brooklyn’s Rick Parker and China’s Li Daiguo. “The sounds that the two create together are uncategorizable, a fluid blend of past and future, traditional and modern. They move from the ambient to the abstract, with folk-like acoustics colliding strangely with sci-fi electronics.” (Shaun Brady). With performances and recording sessions over the last 2 years in both NYC and Dali, a small city in southwest China, Parker and Li will release their debut record, Free World Music, on Brooklyn’s eleven2eleven record label in June 2016. Their unlikely collaboration began in 2014 with Parker’s visit to Li’s current hometown of Dali where they performed and recorded. Later that fall, Li travelled to NYC where they spent another day in the recording studio and performed concerts at Manhattan Inn and Trans-Pecos presented by Lucas Ligeti’s Pigeon Culture. Their performance in Philadelphia presented by Fire Museum was also named a 2014 Best Performance in Philadelphia by Ken Weiss in Cadence Magazine. In the summer of 2015, they were invited to take part in a week long composition residency at COART in Lijiang, China which culminated in a concert of the music they created together during that week. Both musicians have shaped their own successful careers on their own. Li Daiguo is a major figure in the experimental traditional music world in China and abroad. The multi-instrumentalist has performed solo concerts on cello, pipa, throat singing and beat boxing at Paris Cite De La Musique, Sonic Protest Festival France, Culturescapes Arts Festival in Switzerland, World Sacred Spirits Festival in India as well as festivals all over China. He has also composed for the Guangzhou Modern Dance company, Guangzhou Ballet company, Nobu Khan Malaysian Butoh Dance festival and has released numerous recordings on his own. Combining jazz, experimental, electronic and rock, Rick Parker casts a broad net with his trombone playing augmented by electronics and synthesizers. His music has been described as “an expressive new-breed fusion, informed by a few generations of downtown experimentation.” Nate Chinen, New York Times. He leads/co-leads several groups including: jazz quintet, the Rick Parker Collective; Little Worlds a trio dedicated to the performance of Bela Bartok’s Mikrokosmos and 9 Volt with Eyal Maoz. These groups have 5 releases on labels including OutNow Recordings, Fresh Sound New Talent and eleven2eleven. Parker has worked with a large cross section of notable musicians including Tim Berne, Mingus Big Band, Charli Persip, Frank Lacy, Ravish Momin’s Tarana, Super Hi-Fi, Tim Kuhl, Beninghove’s Hangmen, hip hop legends the Wu Tang Clan, Ghostface Killah, DMC and mexican pop stars Ximena Sariñana and Natalia LaFourcade. 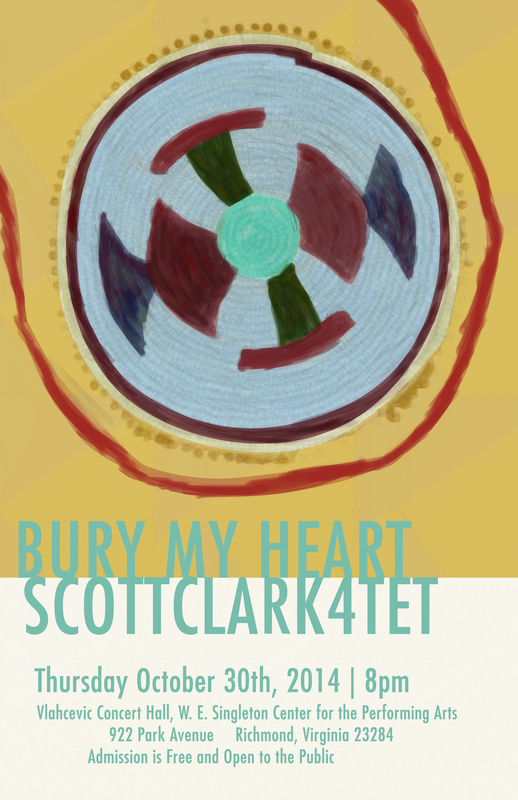 I am excited to announce that on Thursday, October 30th, 2014, the ScottClark4tet, will be premiering a new work that I have written called “Bury My Heart”. I have been writing and researching this piece for quite some time and I look forward to debuting it at Virginia Commonwealth University. “Bury My Heart” comes from a journey of self-discovery into my own ancestry and the profound impact that reading and studying the history of Native Americans has had on my life. Many years ago I began researching my family’s Native American ancestry and the history of the many tribes of North America. The way I viewed life and nature had always intrigued me; and when I began to discover my own Native American background, those views led me to intensify my research. One of the first books that opened my eyes to these events in the history of Native Americans was Dee Brown’s Bury My Heart at Wounded Knee. (Subsequent books that had profound impacts on me included The Sand Creek Massacre by Stan Hoig, The Killing of Crazy Horse by Thomas Powers, and Trail of Tears by John Ehle and many others). The events described in these books sent me on a path of discovery and research that has inspired the songs contained in this suite of music. Of all the events described in these books, the one that has had the biggest impact on me is the Sand Creek Massacre, in which a village of peaceful Cheyenne and Arapaho were attacked and over 100 men, women and children were killed. November 29, 2014 will mark the 150th anniversary of the Sand Creek Massacre. We are premiering this music, at VCU, as a remembrance of one of the most tragic days in American history. The history of so many Native American tribes goes completely untaught in our society. One of my hopes is that through this music, and the stories behind the music, I can do a small part to reach others who will be inspired to look further into the histories, and present-day realities, of so many tribes in North America. I hope that you will be able to join us for this night of music…and we look forward to sharing the music with you. This concert is co-sponsored by VCU Jazz (http://arts.vcu.edu/music/events/) and the Office of Multicultural Student Affairs (<www.omsa.vcu.edu>) in anticipation of Native American History Month (November) and of the 150th anniversary of the Sand Creek Massacre (November 29). thank you for your support…. 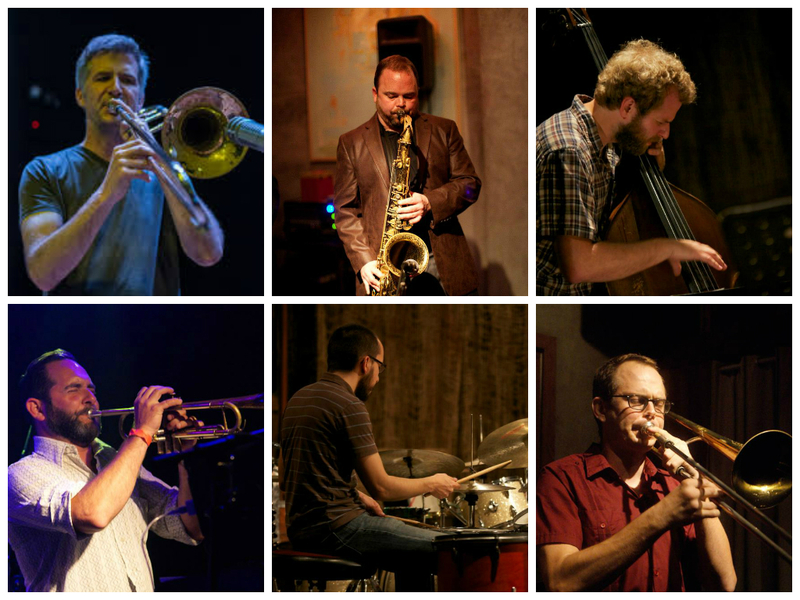 I’m really excited to announce a new group called Parallax made up of many great Richmond musicians and the great trombonist Jeb Bishop from North Carolina. The group features Cameron Ralston-bass, Jason Scott-saxophone, Bob Miller-trumpet, Bryan Hooten-trombone, Jeb Bishop-trombone and myself on drums. We will be playing our first show on Tuesday August 12 at Balliceaux in Richmond, VA. The show starts at 9:30pm and it’s free. I hope that you’ll join us for a great night of new music featuring compositions by Jeb Bishop and myself. There will be a special set with my group the ScottClark4tet to open the night. I’m very excited to be going into the studio this week to record some music that my band (ScottClark4tet) and I have been working on for quite some time now. The music was inspired in part by some of the events described in Dee Brown’s book “Bury My Heart at Wounded Knee” as well as many other books describing the history of Native Americans, and their dealings with white settlers and politicians. This music has been a great source of inspiration to me, and the musicians in the band have really made this music come to life over the past few months. I am really looking forward to recording this music and I am planning for debut of the suite sometime this November. “At dawn on November 29, 1864, approximately 675 U.S. volunteer soldiers commanded by Colonel John M. Chivington attacked a village of about 700 Cheyenne and Arapaho Indians along Sand Creek in southeastern Colorado Territory. Using small arms and howitzer fire, the troops drove the people out of their camp. While many managed to escape the initial onslaught, others, particularly noncombatant women, children, and the elderly fled into and up the bottom of the dry stream bed. The soldiers followed, shooting at them as they struggled through the sandy earth. At a point several hundred yards above the village, the women and children frantically excavated pits and trenches along either side of the streambed to protect themselves. Some adult men attempted to hold back the Army with whatever weapons they had managed to retrieve from the camp, and at several places along Sand Creek the soldiers shot the people from opposite banks and brought forward the howitzers to blast them from their improvised defenses. Over the course of eight hours the troops killed around 200 Cheyenne and Arapaho people composed mostly of women, children, and the elderly. During the afternoon and following day, the soldiers wandered over the field committing atrocities on the dead before departing the scene on December 1 to resume campaigning. This music and these events don’t just exist in a vacuum. Many of these topics still are being dealt with today. From the debate over the Washington Redskins team name (http://cnn.it/1vtPsZQ) (also, read the comment section to see more) to History Colorado’s (the Colorado Historical Society) dealing with the upcoming remembrance of the Sand Creek Massacre (http://bit.ly/1kivPyK) or to all of the many events happening in and around the Native American community (http://bit.ly/1sLRAYA) there is a lot going on right now. I don’t claim to be an expert on all of the inner workings of what is happening now, or what has happened in the past. I have however been deeply affected by what I have learned and how it informs my own life. Through my research and through this music, I hope to share a part of my dealings with these subjects with as many people as I can. I also know that this is just the beginning of a lifelong search for more knowledge and understanding. I am very grateful to Spacebomb Studios for allowing us to record in their great studio and specifically to Trey Pollard, Matthew E. White, Pinson Chanselle, Cameron Ralston and the rest of the Spacebomb family for helping me to realize this recording. I look forward to sharing this music with as many people as possible and as soon as possible. Most importantly, I can not thank the guys in the band (Cameron Ralston, Bob Miller and Jason Scott) enough for being so giving of their time over the past few years….and also to everyone along the way for all of your support. THANK YOU!! 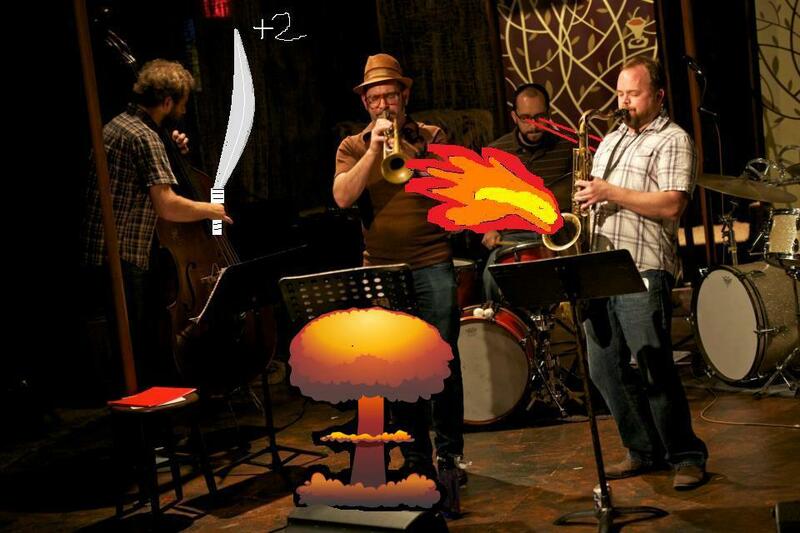 Join us for our first show of 2014.
playing all your 4tet favorites plus a few new ones. This Sunday (November 17th) at 9pm the ScottClark4tet will be playing at the Commercial Taphouse in our fair city #rva. It’s always a great honor to get to play with this group and we’re excited to try out some of our new music. I still have a few copies of our record A&B and I’ll have them with me. I hope that you can join us….